All Pro hockey sweaters are made for the ice with options for every organization. 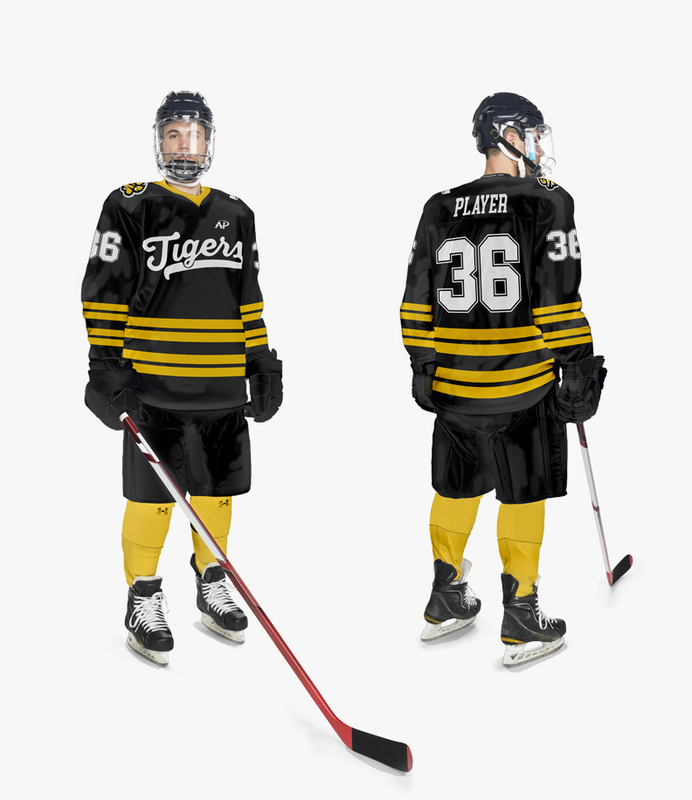 All Pro offers your traditional cut and sew sweaters constructed panel by panel providing that professional feel, with sewn on numbers and full applique sewn on chest logos. Sublimating your vision of the future of hockey is also possible using All Pro fabrics designed for the ice.